Lovers of heavily peated whiskies typically swoon over the high phenol levels present in their favourite drams, often quoting an impressive-sounding figure in phenol parts per million (ppm). And yet what’s in the glass doesn’t always seem to reflect this. What’s going on? Here’s the Whisky Professor with the answers. I am a smoky whisky lover and recently bought a bottle of a peated Islay malt which, I was told, had been peated to over 40ppm (phenol parts per million). When I tasted it, however, it didn’t seem smoky at all! Is the distiller not telling the truth? I can understand why you are confused. While the use of the ppm descriptor to describe the smokiness of a whisky is commonplace, it is also inaccurate. Allow me to explain. If a distiller wishes to make a smoky whisky, at the start of the kilning process he will light a peat fire and allow it to smoulder beneath the damp barley. Lighting the peat releases a family of compounds grouped together as ‘phenols’ – phenol itself, guiacol, cresol and so on. Oily in nature, they adhere to the surface of the moist barley, helping to scent it. In order to guarantee a consistent level of smokiness, each distiller will specify that the malt which the maltings delivers to them contains a specific level of phenols, measured by calculating the phenolic parts per million (ppm) within the barley. This can be done in two ways: UV spectroscopy or, more commonly, High Performance Liquid Chromatography (HPLC). The latter is considered more accurate. This measurement refers to the malted barley arriving at the distillery. It doesn’t refer to the phenols in the final spirit. Phenols are lost throughout the whisky-making process. Some will be left behind in the draff at the end of mashing, a few may be lost, changed or masked during fermentation, but most disappear during the second distillation. Phenols are big molecules with a high boiling-point which are only released as vapour towards the end of the distillation cycle. Their capture will therefore depend on the cut points set by the distiller. A good example is the difference between Caol Ila and Lagavulin. Both distilleries use the same malted barley, yet Caol Ila doesn’t only seem less smoky, but has a different set of aromas due to its process: ferment times, still shape, fill level, speed of distillation and cut points. Coming off spirit at an earlier cut point will only capture lighter smokiness, while a later cut will pick up more of the heavier phenols. In addition, many phenols will be always be left behind in the feints and are never retained in new make spirit. In other words, depending on cut points and process, the phenolic content of a new make whisky will always be considerably lower than in the malted barley which arrived at the distillery. Even then, the chemical analysis of phenols might not correspond with those detected on the nose. The fact that a phenolic compound shows up at a high level in gas chromatographic analysis doesn't automatically mean it will play a significant role aromatically. Phenols are also lost during maturation. Some (the rubbery notes sometimes picked up on smoky new make) are removed in the subtractive stage, others evaporate off, while still more will be absorbed and transformed during the interactive stage of maturation. Although it is not my place to give advice, if I were a distiller I would avoid revealing the ppm of malted barley, as it can cause confusion. It is instead more accurate to describe the mature whiskies as light-, medium- or heavily-peated. Your distiller was telling the truth, just maybe not the whole truth. Peated whisky brands could learn a lesson from hot sauce producers, says Becky Paskin. 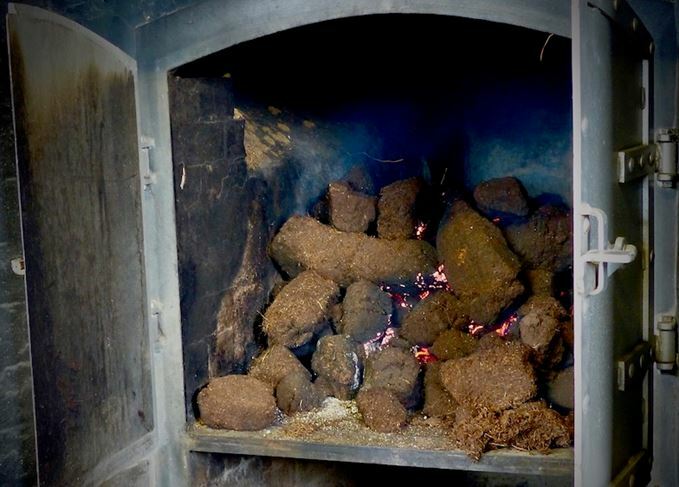 Dave Broom explores how peat is cut and burned, and busts myths surrounding PPM and peaty water. The much-anticipated heavily peated Balvenie single malt will be available globally from October.